This is a little lengthy but we hope you will read the whole thing. It is our insight into word variations and what they TRULY mean. We have spent a long time researching, studying, and typing this in hope that it reaches somebody that never knew this. Matthew 5:17 Think not that I am come to destroy the law, or the prophets: I am not come to destroy, but to ful…fill. We strongly believe we have to search deeper than just the text in our Bibles as the Advisary has confused us with translations. We are not saying the whole Bible is wrong but we must “reproof” our written Bibles with in-depth looks into the translations as sometimes the words get their meanings changed. This verse contains the word Fulfilled. This particular word comes from the Greek word Pleroo. There are other words in the Bible that say fulfilled that do mean complete but those are much different Greek words… (i.e.— Greek = poieo & teleo in some cases for fulfilled but not in the case of the verses we are covering. The verses we are covering use the word Fulfilled/Fulfill from the Greek word Pleroo. We all know that without the Messiah we would all be condemned but through Him and faith through only Him we have salvation. Keeping that in mind, most teach that HE abolished the Law of Moses. Remember that that when the Messiah came, at that point, all they had was the OT and the Law of Moses. If you can throw that out, then throw away the Ten Commandments and make sure nobody tells you to Tithe (Give to the poor and needy) because that also comes from the Torah. The Messiah and all HIS followers walked in the Torah (1st 5 Books of the Old Testament) way of life. Matthew 5:17 Think not that I am come to destroy the law, or the prophets: I am not come to destroy, but to fulfill (teach fully, bring full meaning to, or to magnify). The last word is that verse is Fulfill (English) or in GREEK it was derived from (plēroō). Most believe that this means to “complete”. This word means to teach fully, bring full meaning to, or to magnify. SO plug that in and try that verse again. The Messiah is saying that HE came to teach the LAW to everybody in FULL, TO FULLY TEACH or TO MAGNIFY ITS MEANING. HE was showing us that what the Pharisees were teaching went against Torah. They were adding their own man-made tradition into the teaching of the Torah. The Messiah came to teach what HE meant from the beginning (TORAH). This is still alive today. Now to show that the word Fulfill in that verse does mean to teach fully, bring full meaning to, or to magnify, here is a verse about something else, using the same word from the Greek word (plēroō). Romans 15:19 Through mighty signs and wonders, by the power of the Spirit of God; so that from Jerusalem, and round about unto Illyricum, I have teach fulfilled (fully taught, brought full meaning to, or to magnified) the gospel of Christ. If we are taught the word Fulfill in the Matthew verse above means COMPLETED then insert COMPLETED into this Romans verse where Paul says (fulfilled) below because that word in the original Greek writings was plēroō, the same word that appears in the Matthew verse above. Romans 15:19 Through mighty signs and wonders, by the power of the Spirit of God; so that from Jerusalem, and round about unto Illyricum, I have fulfilled (insert COMPLETED here ) the gospel of Christ. (this would mean he is done and no longer needed). Could you imagine if Paul quit preaching at that point and decided that his job was Completed? If you substitute the word “completed” for Fulfilled that would mean that the scripture has been completed in your ear. How can anything be completed inside an ear? If the scriptures were completed in this Luke verse we wouldn’t need the rest of the Bible after Luke supposedly completed it in everybody’s ear. The word Fufilled in that Luke verse means to bring meaning to. If you hear something that doesn’t quite make sense, somebody can come along and bring meaning to what you are hearing and then it would make sense to you. Our Messiah brought meaning to the old law and magnified it. HE showed us that we are to be obedient to HIS commands since the beginning and have Faith in HIM , HE will “set us free”. So if anyone says to you “The Messiah did away with the law because he completed it”, you can show these to verses back to back. Here are a couple other verses we came across. The Messiah didn’t come to complete the law according to these verses. 1st John 5:20 And we know that the Son of God is come, and hath given us an understanding, that we may know him that is true, and we are in him that is true, even in his Son Jesus Christ. This is the true God, and eternal life. (This verse states he came to show us the TRUTH, and we that believe in the TRUTH and follow the TRUTH are of HIM and HIS son the Messiah of Salvation Yeshua…)….WOW… love this stuff…this agains shows that nothing has been COMPLETED…..
At Mt. 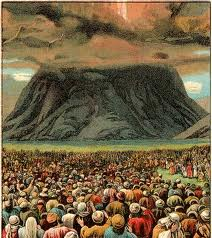 Sinai there were 12 tribes there… One tribe was Tribe of Judah from which Judaism was born…. 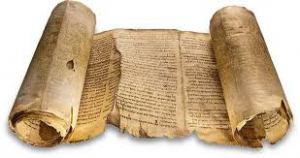 The Jewish Tradition of today and yesterday is what our Messiah (A Jew himself) came to teach us to avoid… HE never once threw away the law HE gave to Moses which we now look at as if it was a Jewish only thing…. There are plenty of things that are taught that aren’t scriptural and if the Messiah was here today HE would be doing the same to Christianity that HE did to the Pharisees and Sadducees. HE would be pointing out the flaws in their teachings that go against HIS perfect Word from the beginning. When reading the bible it’s best to read the whole chapter or at least the whole paragraph rather than to take something out of context. So if you read Mat 5: 17-19 you get a better picture of what the meaning was. Also there are other area’s in the Bible that reference God’s Law where you can get more information. When he’s talking about fulfill he’s talking about Magnifying it. Also if God’s Law was to go away so to speak then why is it talked about so much in the new testament. If anything it was added to not taken away. Mat 5: 17-19 17Think not that I am come to destroy the law, or the prophets: I am not come to destroy, but to fulfill. 18For verily I say unto you, Till heaven and earth pass, one jot or one tittle shall in no wise pass from the law, till all be fulfilled. 19Whosoever therefore shall break one of these least commandments, and shall teach men so, he shall be called the least in the kingdom of heaven: but whosoever shall do and teach them, the same shall be called great in the kingdom of heaven. Clearly Jesus Fulfills the Law by Magnifying it as you can see in the same chapter under verses 21 thru 48 when he talks about the different Laws such as Murder saying that if you are in anger at your brother you are in danger of the Judgment. The rest of the verses talk about other Laws and so on. http://biblehub.com/kjv/1_john/2.htm This one really hits the nail on the head about God’s Law. 1 John 2: 4 4He that saith, I know him, and keepeth not his commandments, is a liar, and the truth is not in him. http://biblehub.com/kjv/hebrews/13.htm This verse in Hebrews is also pretty clear. Hebrews 13: 8 8Jesus Christ the same yesterday, and to day, and for ever.